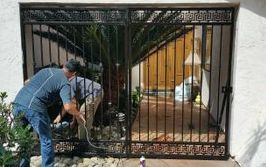 We called John to assess our gate problem and give us a quote. He was here the next day and we hired him on the spot--good credential, good Yelp reviews, fair price and an all around nice guy. He installed a new opener for us in just a few days, leaving everything neat and clean. We are pleased to give John our highest recommendation. Outstanding quality and service! We asked them to custom-make a new door for our arched stucco entrance to our fenced-in yard. They made a beautiful door that matched the aesthetic of our Spanish-style house, and completed the project on time and on budget. They even offered to refinish another door and fix our garage door opening mechanism for minimal cost. We've had a lot of work done on our house, and they are among the best outdoor contractors with whom I've worked. Highly recommended! 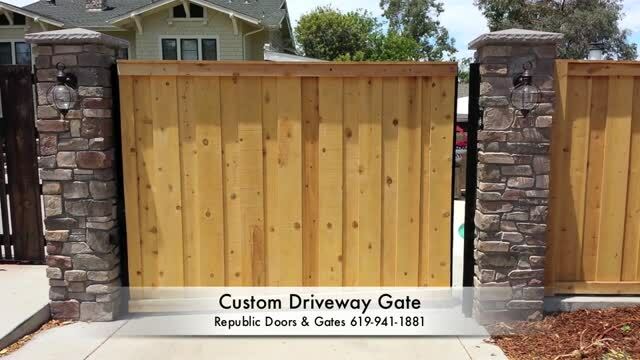 I contacted John with Republic because my old motorized gate motors had died. John came out next day and assessed the issue. He was professional, courteous and straight forward about what I needed (and didn't need). He also replaced my posts with galvanized steel and spruced up the look of the gate. Highly recommend this business. Very professional and competitive pricing. 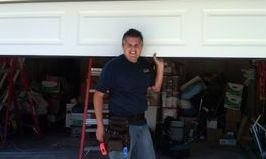 John came out replaced my garage door springs, recommending a better solution and fixed my drooping fence.